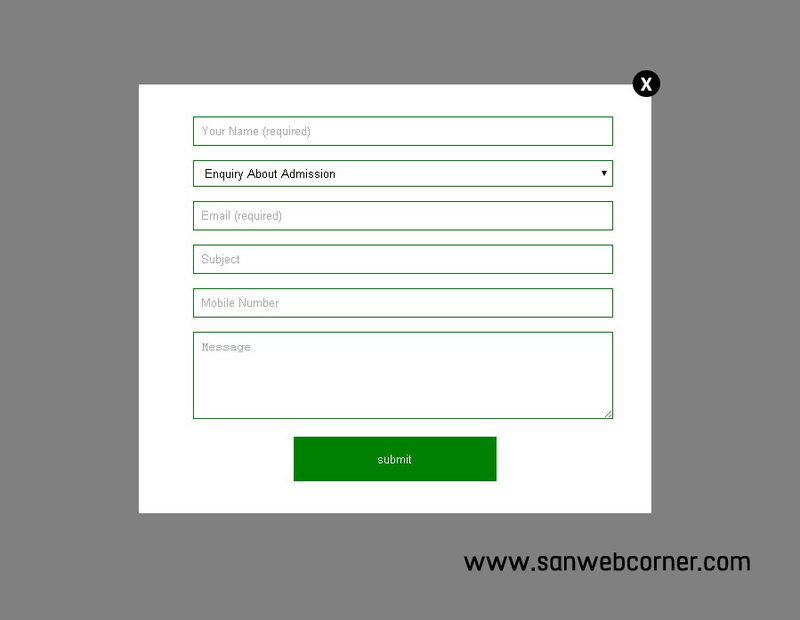 Here we can see how to create Jquery responsive popup box with feedback form. I already posted the popup box with feedback form. But in this post i will give you the code about how to display the responsive popupbox with feedback form. 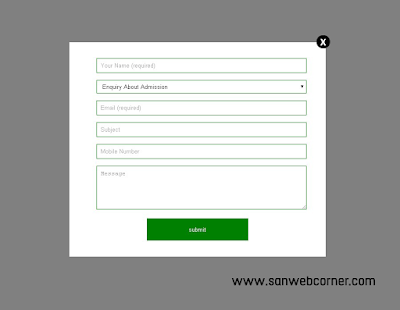 ( or you can use contact form) or any type of form you can use in this popupbox. This responsive popup box will display on page load. Here we write the styles (css) responsive manner. It will fit all the devices like mobile and tab, desktop, laptop. Here is the full html, css, jquery code you can view the code below. And i will provide the full code here. To download full code please click the below download link. In this example have the responsive code you can see this example by clicking the demo link. You can see the result of this page. I hope this is very useful.